If you’re unfamiliar with the term, CSA merely stands for community supported agriculture. If you’re unfamiliar with the term, CSA merely stands for community supported agriculture. 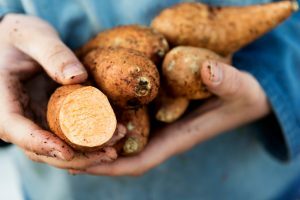 Even though it’s closer to harvest time than growing season, there’s no reason why you can’t still join your local CSA organization. Let’s take a closer look at why you should consider buying into this group, and why membership is so beneficial. So now that you’ve decided you want to join a CSA, what are you getting yourself into? By joining a CSA collective, you buy a share of a farm. This membership fee gives farmers the resources they need to kickstart their crop growth and afford running their farm. The biggest benefit is that you’ll receive regular shipments of freshly-grown produce. Sometimes, these deliveries will show up at your restaurant, and other times, you might just have to travel to that farm for pickup. Most of the time, CSAs only involve produce as their main selling point. But others will also allow you to buy meat, eggs, dairy products, bakery items, and even flowers – essentially, anything you would expect to find on a farm. The Freshest Product: You know you’ll be getting the freshest product possible when you support a CSA. Sometimes, the produce will still be covered with dirt from the fields or the hydroponic growing areas. Best of all, the produce doesn’t have to endure long shipping delays before reaching you. Lower Prices: Most grocery stores need to make a profit when selling produce. When produce comes in from a CSA, lower prices will benefit both the stores and ultimately, consumers. Gaining New Skills: Do you wish you could learn to cook better? If you’re a professional chef, learning new skills can always help you improve. When you join a CSA, you might be pleasantly surprised by the new culinary techniques you pick up along the way. WANT THE MOST DELICIOUS LOCAL PRODUCE? CONTACT US TODAY! This entry was posted on Friday, October 27th, 2017 at 10:00 am. Both comments and pings are currently closed.